An ideal combination of rural community and progressive capabilities, Blue Earth is proud to be home to nearly 300 businesses, both large and small. Located at the intersection of Highways 169 and 90, Blue Earth offers an ideal location for distribution centers. The city is also home to two industrial parks and its 3 Sisters buildings that offer excellent entrepreneurial space. Moreover, Blue Earth has the high-speed internet and fiber connections every business wants thanks to BEVCOMM. Blue Earth is a great place to own a business! You will find their Community Development Specialist, along with staff at City Hall, eager to help both small and large businesses get established. Funding for the new Welcome Center and Giant Museum was received from Minnesota’s Legacy Arts & Cultural Heritage Fund. The people and employers of Blue Earth are pioneers that are embracing our city’s role as a manufacturing and service center in the Greater Mankato region. We are also working hard to ensure that ours is a preferred community of residence for the citizens of South Central Minnesota. The population of the City of Blue Earth is approximately 3,400. The surrounding township adds 500 people to our immediate area. The population within a 10-mile radius of the City of Blue Earth is about 9,000 and the population within a 20-mile radius of the City of Blue Earth is about 30,000. The Minnesota State Demographer has predicted a more or less stable population for Blue Earth through 2030. The best source for finding up-to-date information on the the Blue Earth area’s demographics is at the US Census Fact Finder. Enter Zip Code 56013 for the Blue Earth area and click GO for a detailed analysis of our area’s population. Contact Mary Kennedy, Community and Business Development Specialist (CEDA) at 507.236.6425 or City of Blue Earth at 507.526.7336 for additional information on the excellent development sites at the crossroads of US Highway 169 and Interstate 90 – the nation’s longest freeway. We’re also only 30 minutes west of Interstate 35. The real estate agents in Blue Earth are also an important source of information both for commercial buildings and employees seeking housing. The Golden Spike Business Park is a city-owned park located directly off Highway 169 and Interstate 90 in Blue Earth. Available land can be subdivided to suit prospective buyer’s needs. Highway exposure is still available. Total of 52.37 acres available – 9.92 acres are improved with street, sewer and water and 42.45 acres are partially developed. Contact Timothy Ibisch at 507.526.7336 or tibisch@becity.org. Zoning and Land Use: The park is located in Highway Business-Light Industrial District (HBLI). Flexible zoning requirements include outside storage if properly screened and steel built structures. Financial Incentives: Tax Increment Financing/Tax Abatement may be available to assist with upfront costs related to the land purchase and site improvement. The City additionally has EDA Funds available to credit worthy businesses for low interest loans to assist with business startup costs, equipment purchases and ongoing business improvement. The Economic Development Authority (EDA) of the City of Blue Earth administers programs to assist new and expanding businesses. The Revolving Loan Fund is a source of gap financing for working capital, equipment, inventory and building construction and renovation. Download a Revolving Loan Fund application. The Utility Revolving Loan Fund is a source of financing for new construction or improvement of electric, water or sanitary sewer lines. Applications for funds from this loan fund are made using the EDA’s Revolving Loan Fund application, which you can download above. View more information about the Utility Revolving Loan Fund program. The Forgivable Loan/Grant Program provides for the promotion and continuation of existing lifestyle businesses within the City of Blue Earth. Most of these businesses are owned and operated by one individual or a family. The program will provide an incentive for a new individual to purchase an existing lifestyle business and continue operations. Download additional forgivable loan/grant program information and application. 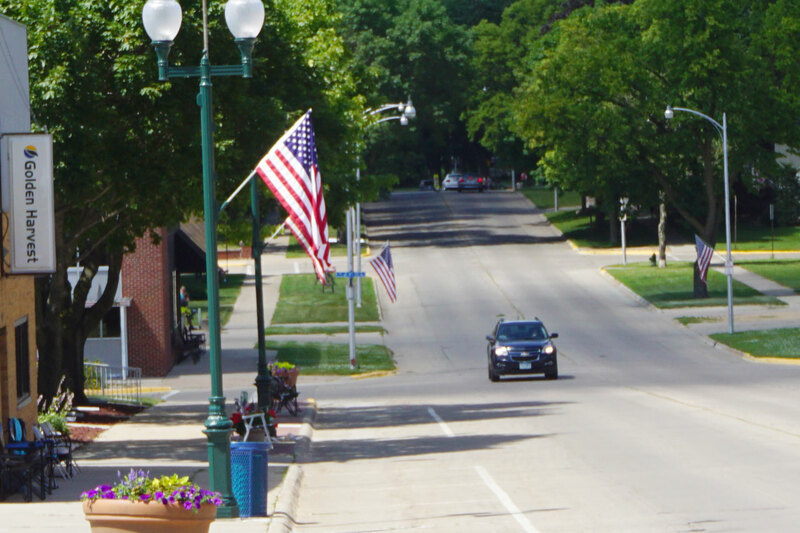 The Commercial Building Exterior Improvement Grant supports the maintenance and updating of commercial buildings within the city limits of Blue Earth. Obtain program information and submit the fillable application. In addition, there are many other sources of financing that can assist a company in their location or expansion in Blue Earth. The Faribault County Economic Development Authority serves new and expanding businesses in Faribault County as a source of gap financing. The Faribault County Commercial Rehabilitation Forgivable Loan Program (CRL) is a loan program designed to assist the commercial businesses located within Faribault County. The purpose of the program is to upgrade the appearance of commercial properties to increase sales, property values and improve the business climate within the County. Funds are distributed on a first come, first served basis. The Southern Minnesota Initiative Foundation is a regional foundation that also makes loans to businesses, provides management assistance and can be a source of equity capital. The Huisman Family Fund Grant and Loan Programs were created to support economic development efforts and businesses in Faribault County, Minnesota and the adjoining areas. Region 9 Development Commission is a regional source of business financing. Region 9 also hosts the Small Business Development Center, an office devoted to the success of emerging and established small businesses. The United States Department of Agriculture Rural Development office is an important source of business grants and financing for new and expanding businesses in Blue Earth which is the seat of Faribault County- a USDA Rural Development Champion Community. The United States Small Business Administration is a source of financing for small businesses. Blue Earth area businesses have used the SBA and local banks are familiar with the process for working with the SBA. The importance of preparing a business plan cannot be underestimated. It could likely be the deciding factor in securing an investment in or loan for your business. And, having a good business plan in place will give you the peace of mind that you are working within a budget and working toward defined objectives. As you prepare your business plan, the Economic Development Authority recommends making contact with the Small Business Development Center at the Region 9 Development Commission.The staff of the Small Business Development Center will assist you in performing a thorough financial analysis and projections for your business and assist in the preparation of a quality business plan.